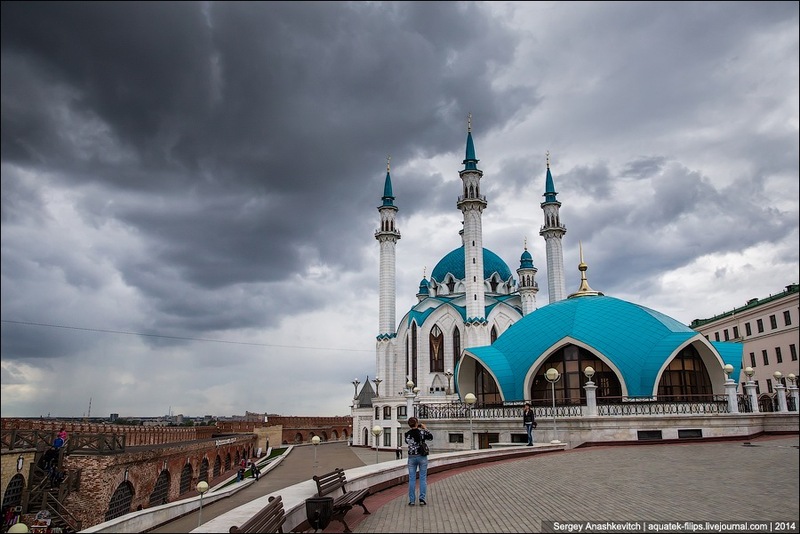 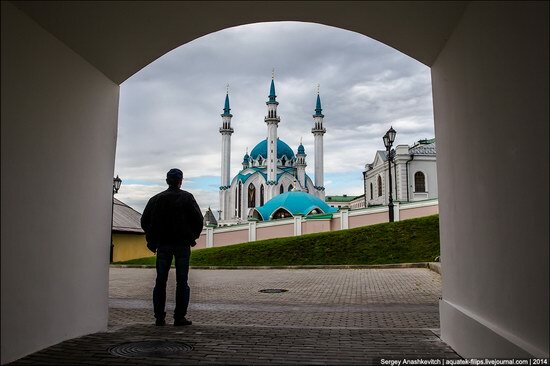 Kul Sharif Mosque is standing on the territory of the Kazan Kremlin. 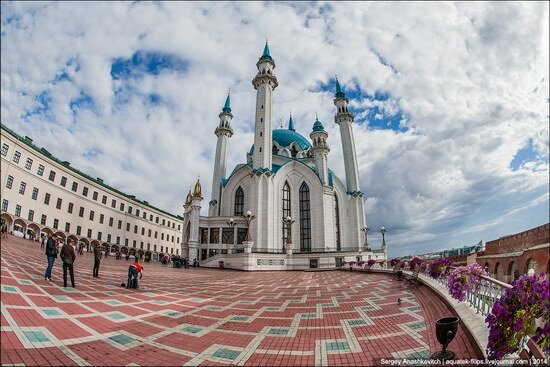 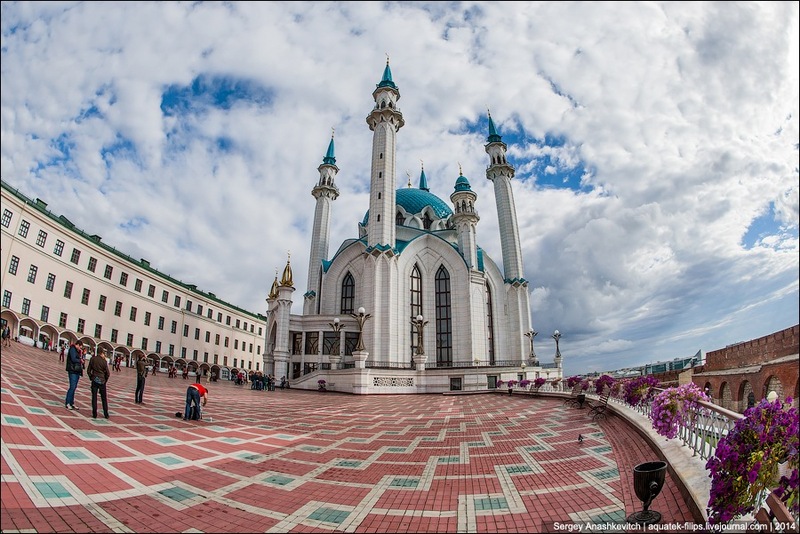 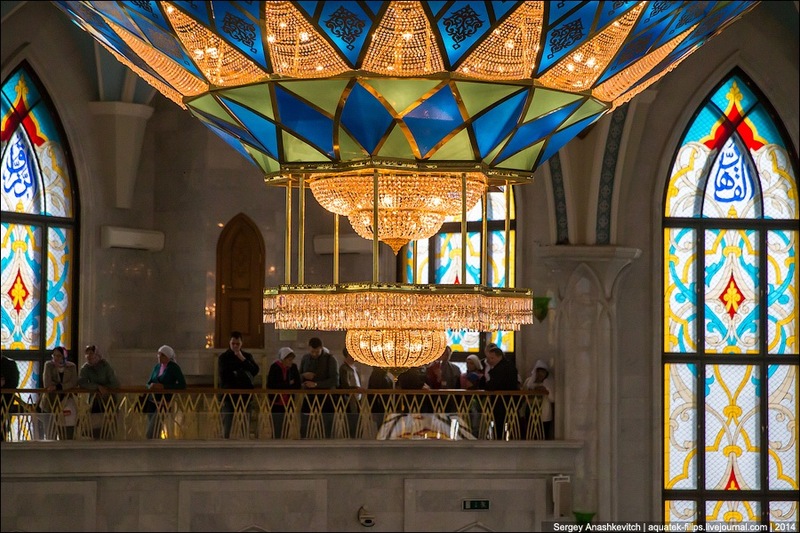 It is the main mosque of the Republic of Tatarstan and Kazan. 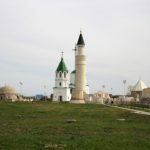 Construction of the mosque began in 1996. 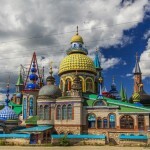 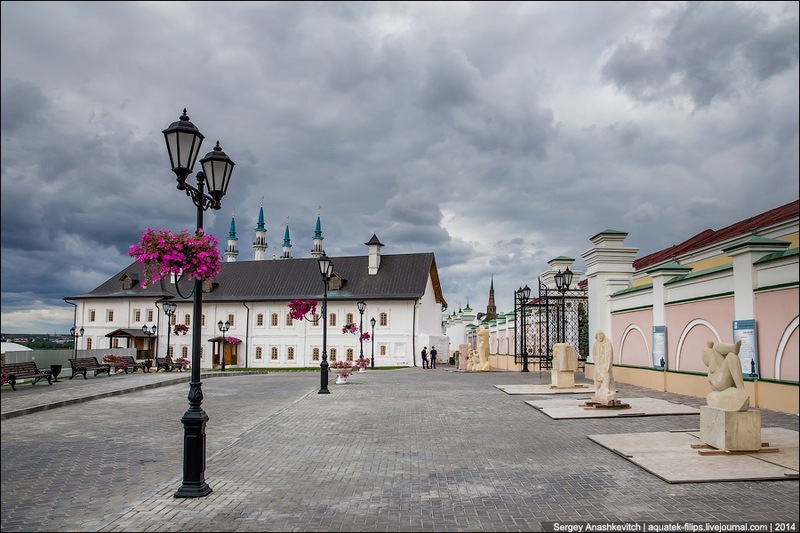 It was a re-creation of the legendary mosque of the capital of the Kazan Khanate that was destroyed during the storming of Kazan by the troops of Ivan the Terrible in October 1552. 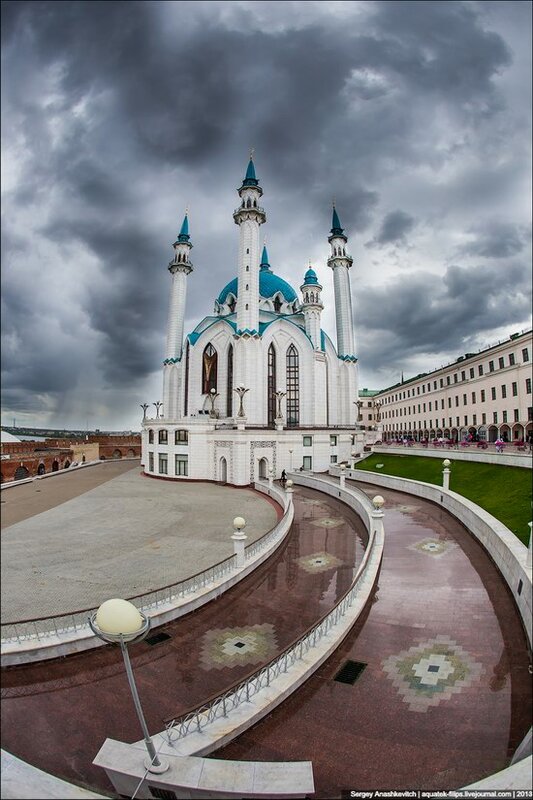 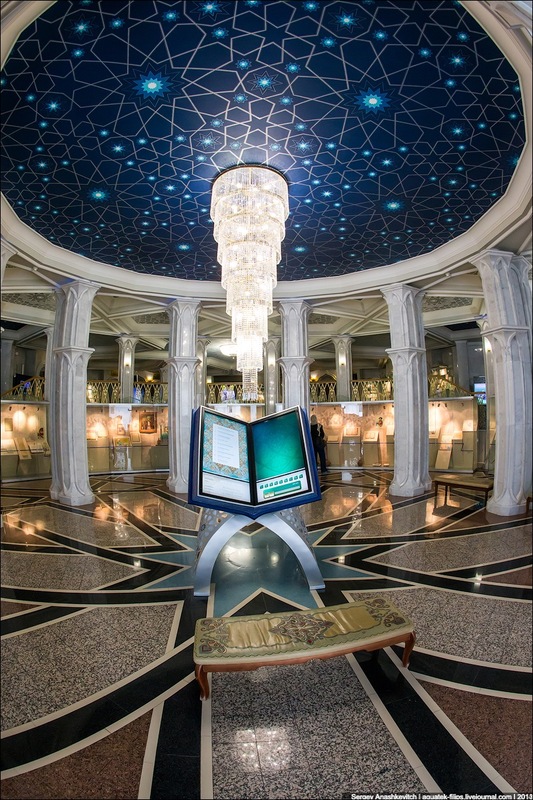 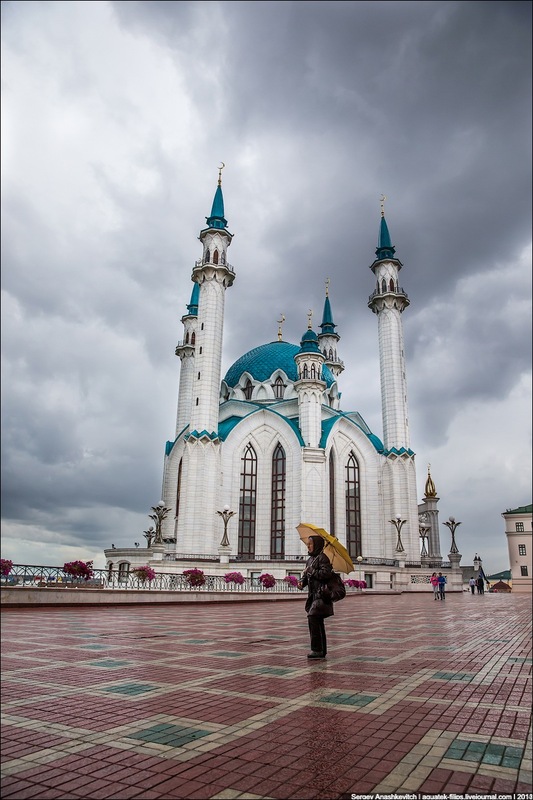 The mosque was named after its last imam Kul-Sharif, one of the leaders of the defense of Kazan. 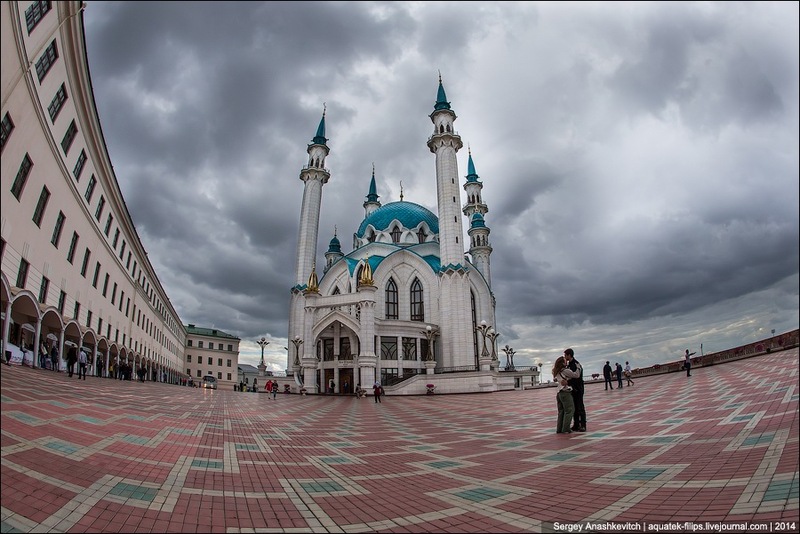 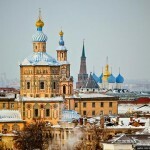 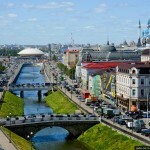 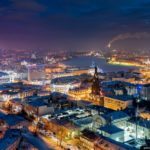 It was opened on June 24, 2005, during the celebrations of the 1000th anniversary of Kazan. The inner space is designed for one and a half thousand people, the square in front of it can accommodate another ten thousand.